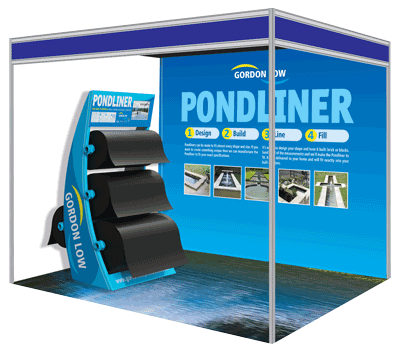 Thinking of promoting your company at a Trade Show or Exhibition? 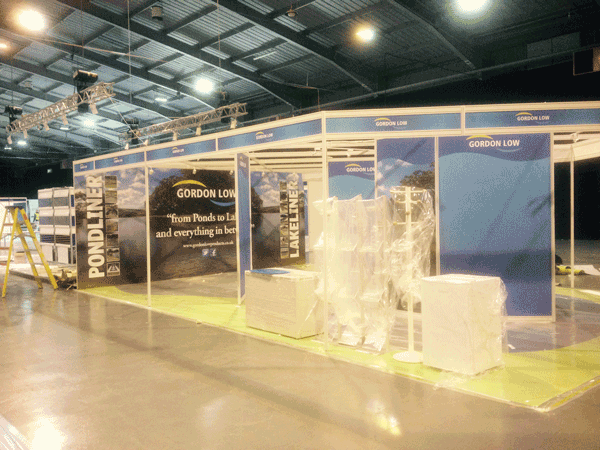 There are numerous different ways of producing Exhibition Design. 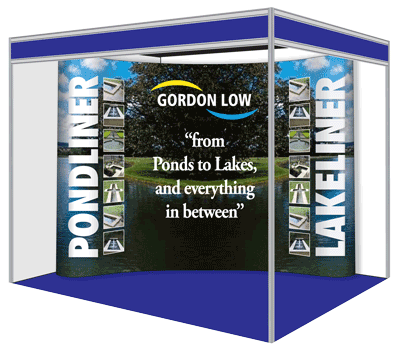 From very simple roll-up banners to custom built stands, but one thing is certain, it is all about creating the right impression. Which ever route you decide to go with, keep it simple! 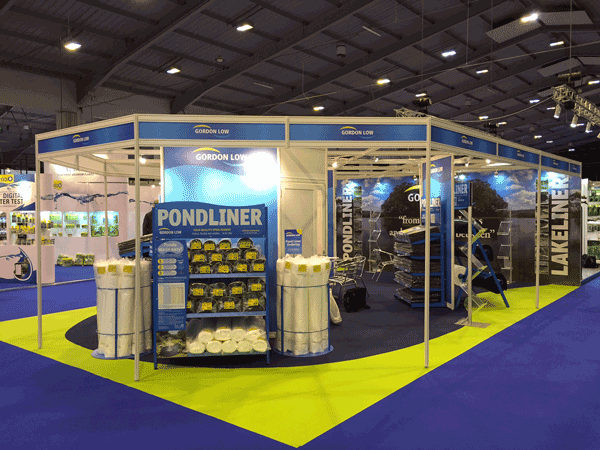 Trade Shows and Exhibitions are busy places, from the number of attendees plus the “visual noise” that all the stands make together. 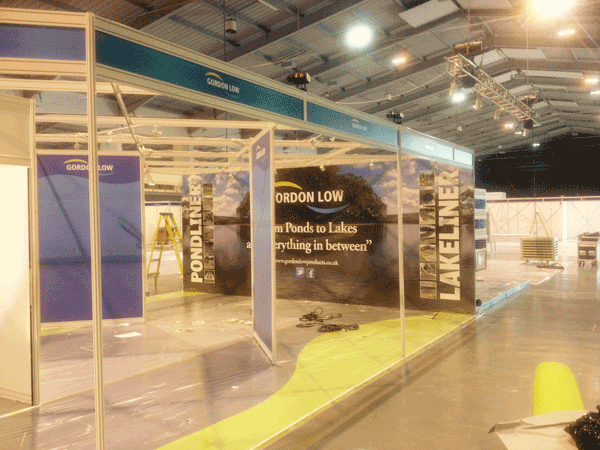 Normally the exhibition organisers will provide a “Shell Scheme” which you can dress however you please. There will be a list of things you can and can’t do, namely everything that is fixed to the side and back panel’s needs to removable, no nails, staples or anything like that. 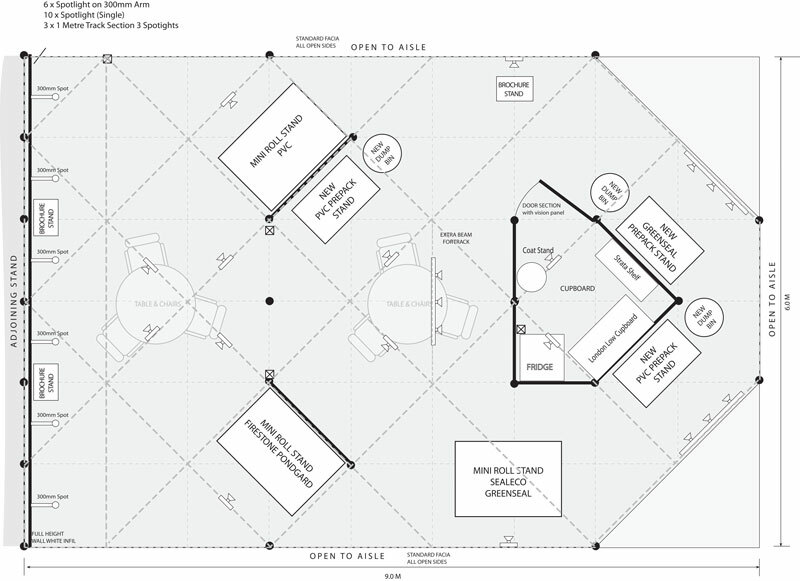 The Shell Scheme’s are normally a 3m x 3m space but depending on your requirements they can be multiples of this, for example, some of the exhibition design shown on this page are of a 9m x 6m stand. 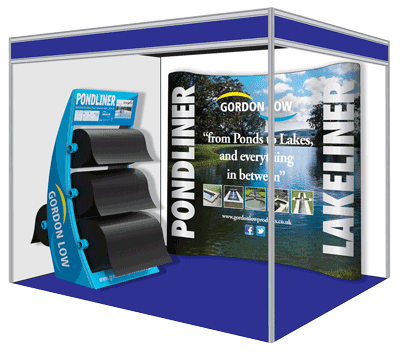 Most Exhibition Stands are free-standing, normally of pop-up design where they are very simple to erect and take down. This is very important for re-usability. 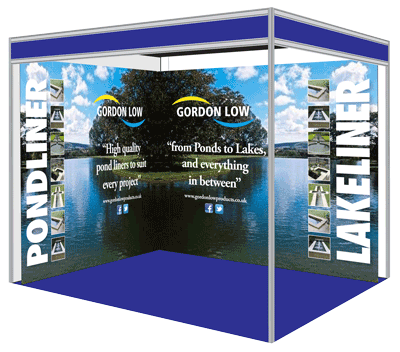 If you are going to invest in a pop-up stand you should consider how you may use it in the future as that may have an effect on the content of the design. 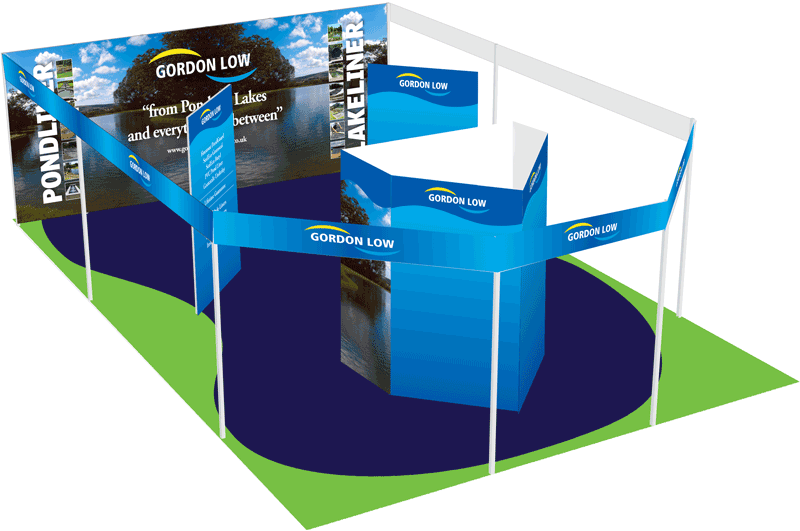 The client here decided to go for 2 pop-up stands which would work together or separately. 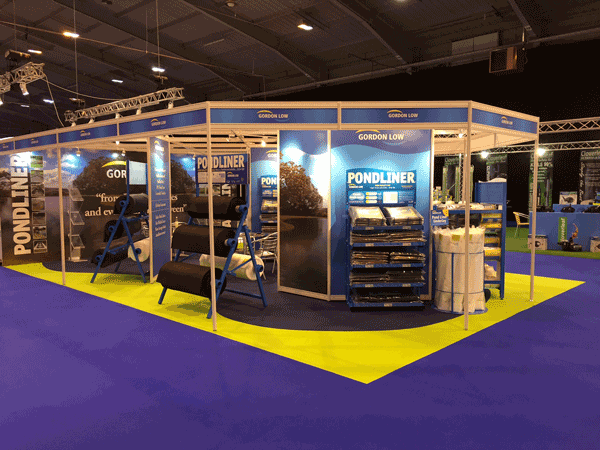 Stand-out from everyone else, the design needs to have impact and be memorable. 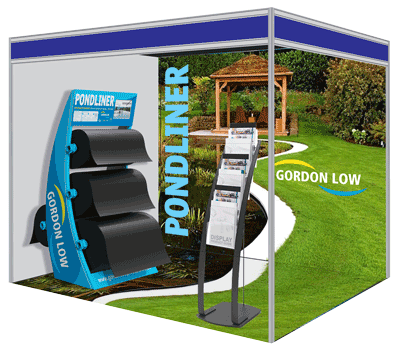 What you want is for people to say, have you seen the “XyZ Stand”, that builds awareness and gets even more people to visit you. 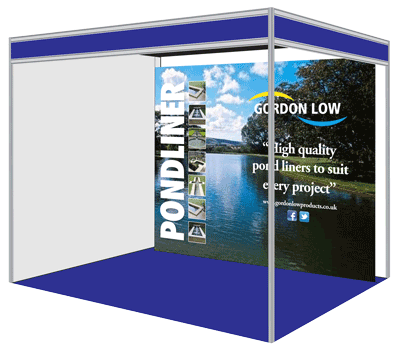 This printed Graphic Panel was 6m wide x 2m tall. Exhibitions can be expensive so make sure you sign off all of the visuals and know exactly what you are getting. Make sure you have plenty of time to get everything printed. If you have a Shell-Scheme practise putting the stand up and back down again.